You may have seen it on the side of the road — a car flipped over, its wheels spinning in the air. These accidents are horrific to look at and you may wonder if anyone got out of it alive. You may also wonder how the accident occurred and could that happen to your car someday. It’s true that rollover accidents are extremely dangerous. Not only could you experience severe injuries but thousands of dollars in property damage. But how do rollover accidents occur? And is your car at risk. First, you need to know why a vehicle flips over in the first place. The most common cause of a vehicle flipping over is they took a turn at too high a rate of speed. They may then have hit either an obstruction in the road or an embankment. Another possibility is the car slides on slippery substance such as a wet roadway and cannot gain traction. And on rare occasions, an automotive product defect caused the accident. But don’t be fooled – passenger cars and 18-wheelers can rollover just as easily as these vehicles can. 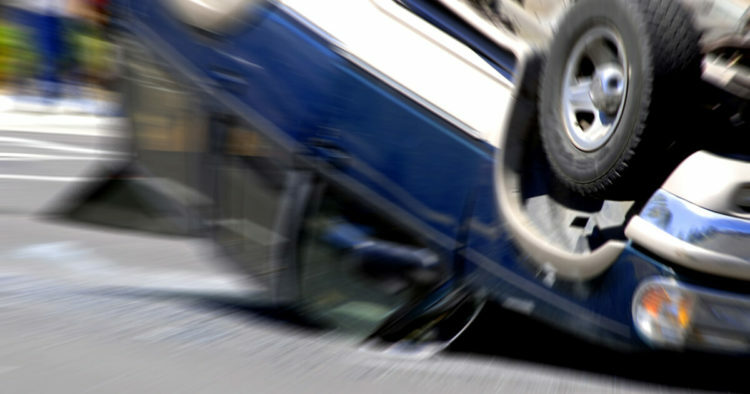 What happens if you are entrapped in a rollover accident? First, call 911 if possible. Then, check to see if you can remove your seatbelt without causing yourself any harm or falling from your seat. Then, try to stay as patient as possible until emergency services rescue you. Don’t try to leave the vehicle, you may harm yourself even more. If you or a loved one has suffered injuries following a rollover accident, you may need assistance with the insurance company. Contact the Houston car accident lawyers at de Lachica Law Firm, PLLC, now for a free consultation. Is There a Way to Prevent Getting into a Truck Accident?